These are two very important questions for you to consider when allowing someone to work in your home or office. Allowing anyone to install, repair, upgrade, or otherwise alter expensive and sophisticated equipment should not be taken likely. Most importantly, do you trust this person with your life and the lives of those who occupy your home or business. Corcoran Heating and Air Conditioning was established in 1983 in Hoffman Estates. Today, the company is run by father-and-son team Tom and John Corcoran, and their nine employees. Tom Corcoran built this company from the ground up 30 years ago, and his tenacity and dedication run through the veins of our enterprise. After a stint as a wild child of the ‘70s, and failing to make his collegiate hockey team, Tom came to realize that college wasn’t for him. Tom has always been mechanically inclined; he pursued technical college and then began learning about the heating and air conditioning. While working for a contractor, he blew stuff up, broke some things, and was schooled by the college of hard knocks. Armed with 5 years of field experience he started working out of his garage and repairing people’s systems. In his early days, Tom held to a code of completing a project in only one visit, no matter how long it took. Each customer’s time and satisfaction was valued—and while he may have spent many long hours swearing, banging, and bleeding, he ended every day knowing that his customers could enjoy their comfort. Government and manufacturer ratings for energy standards are bogus. Doing load calculations and clients complaining of higher utility bills left a burning desire to find out what the f— is going on. After taking a class offered by the National Comfort Institute, Tom came to realize that the industry standards were severely lacking. Only 1 to 3 percent of contractors out there possessed his knowledge, and most contractors are cutting corners to save money in this tough economy. I don’t blame them since they do not know how to do anything other than offer cheap solutions to get work. Realizing that he could have been unintentionally causing customers to spend more than necessary on monthly gas bills—or even worse, unintentionally poisoning them due to lax industry standards—Tom devoted himself to surpassing industry standards and conducting his business through continually designing, testing, and adjusting equipment for maximum safety and performance. Over the years, Tom the student and teacher has passed on his knowledge and work ethic to his son, John. At only six years old, John began accompanying Tom on service calls and installs, and since he was a junior high student, he has assisted his father in every aspect of the business. 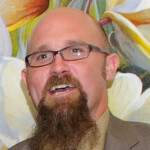 On top of his own passion, dedication, and knowledge of the trade, John’s college education from the University of Kansas allows him to effectively assist with the business side of things, and further implement the newest technologies available. Together, Tom and John seek to educate clients on the dangers of shortcuts, and the benefits of quality service and installation. They trust that if you’re serious about your comfort, and focus on more than just the lowest cost, you’ll read on to learn how to protect not only your wallet, but also your health and comfort. I did not come up with this information overnight. The facts about the low-standard status quo of the industry are true and verifiable. If you are faint of heart, or can’t handle the truth, then perhaps this site isn’t for you. The air conditioning and heating industry is headed in the same direction as the economy—but you deserve to be a member of the elite 1% of customers who are treated fairly, honestly, and with respect, while receiving the highest quality technology and service. With our company, you’ll enjoy the technology of tomorrow, today. This site will demonstrate how we rise above the contractors out there who will rip you off—or worse, endanger you and yours. To stay on the leading edge takes Education, which costs money. Our company will always be better than 95% of the competition. We can’t be cheaper too. First up is Brenda Murphy – if you’ve called us between 8 – 4:30, more than likely you’ve spoken with her. Since 2004, Brenda’s been doing all of our scheduling, billing, warranty inquires, accounts payables and receivables, and – manned with a GPS system which she has mastered like Harry Potter’s Marauder’s Map – keeps track of who is working where and when. She also orders supplies and parts, keeps our files organized and performs reception duties; all of which she does with professional deft, energy and good humor, which is what it takes to keep the office running smoothly. 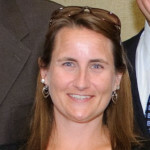 Ms. Murphy received her BS in biological sciences with a minor in chemistry from Northern Illinois University. Post-graduate studies included coursework in pharmacy tech as well as in the study of Orca Whales in Telegraph Cove, British Columbia. She also is a certified scuba diver. Much of Brenda’s spare time is spent alongside her sister coaching the Westernette’s competitive baton team. The troupe has won State, Regional and National Titles in Dance Twirl, Show Corps, Parade Corps, Halftime Team and Poms. The Westernettes compete alternative years at Notre Dame in South Bend or in the AAU Junior Olympics. This August will find them in Michigan for competition. Due to back surgery in late January to fuse two of her vertebrae, Brenda will be out of the office for two weeks. John will man the phones in her absence. We wish them both well! After the expected six weeks to four months full recovery, Brenda the animal lover has plans to rescue a Doberman Pincher. – Make sure you ask Brenda how she’s feeling! 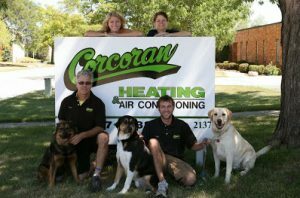 Corcoran Heating started in 1983 when a younger Tom Corcoran decided that he could not be an employee any longer if he wanted to be truly happy. This is the same thought process that many of the top entrepreneurs will tell you if you just ask. He started this company with a truck and a dream. In the beginning it was up to him to get his name out there by fixing equipment in the area around his house, and showing people his talents and commitments. From there his abilities to fix about any problem people where having quickly spread his reach and boundaries. Up until about 6 years ago Tom was in a truck full time running calls and trying to stay on top of his business. With the help of his wife and addition of employees throughout the years he was able to establish a successful and hard working company. A company that has been servicing the Chicagoland Area since 1983. Today, you can find Tom doing a variety of jobs around the shop and still even in the truck. His reach allows him to stay on top of the quality control aspects, and keeping this company on the track for the future. Stepping into the true business management position has allowed him to expand his abilities and the abilities of his company. A large investment in continual education has brought his company from just a heating and air conditioning company into something that is not common in the industry. 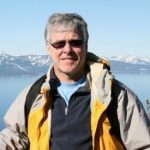 Tom prides himself and his company on their commitment to the whole house or building approach to solving people comfort, efficiency, and safety issues. If you ask him he will tell you that this change of mindset has allowed his company to make true difference in people’s lives. The differences that you have been able to read about in this publication from our raving clientele. I you are tired of the same old comfort issues in your home or office, or are concerned about rising utility cost do not hesitate to call Tom and talk about your specific issues directly. It is amazing what he knows, and the resources he has to get to the root of your issues. His company takes their technical abilities very seriously, and goes beyond industry standards to prove your savings and comfort in writing. If you are open to a new way of experiencing indoor comfort don’t hesitate to call Tom today for a free consultation of your specific issues! With June being a traditionally good month for me, and the anticipation of June 2013 events looking particularly great, I thought it only fitting to take over the “getting to know us” section by putting the spotlight on myself. June not only marks the anniversary of my birth, but is on the calendar as the month in which our first child is to be born. I’ve really been connected with Corcoran Heating and Air Conditioning from almost the beginning, as my Dad decided to build a business of his own the year before I was born. From the get-go, I have tagged along on service calls doing my part – even if it was only to hold the flashlight, or hand off tools. I played co-pilot for as long as I can remember. We have come a long way since those early days. After graduating from the University of Kansas and moving back home, I knew that THIS profession is what I knew, what I liked, and what I wanted to continue full time with. I had always worked here summers and semester breaks which was a great education from not only my father but from other great minds in the industry as well. Sticking with this really made sense. Today you will find me sizing projects, ordering parts and equipment, designing systems, writing the bulk of the newsletter, taking charge of the website, contributing to the advertising and marketing of the company but still getting my hands dirty with a little bit of everything on the job site or back in the office. My wife Lindsey and I are currently finalizing as many of the details involved with the imminent arrival of our son as we can, but are still enjoying the wait by going to movies, the horse track, dog park, or just being outdoors with friends as much as possible. As we add to our immediate family, Lindsey’s added to her education by obtaining her second master’s degree. I try to support her at home, and continue to help wherever the need is around the office. I hope you have a cool, comfortable, and safe summer! Best wishes for that and more – and feel free to bug me with any questions. For you, I’ll always make time. Janet was born in Hershey, Pennsylvania and lived there until the Carmany family moved to Chicago. After graduating from Taft High School, she earned a B.S.N. (Bachelor of Science in Nursing) from DePaul University (1981). Jan still holds her R.N. license, although she confesses that she has become more well-versed in heating and cooling lingo than medical jargon over past twenty years. When she and Tom married in 1981, Jan was a nurse at Northwest Community Hospital. After the birth of John in 1984, -when the Corcoran Heating and Air Conditioning Business was run out of their home -she switched to dual careers: stay-at-home-mom and full time HVAC employee. Jan was instrumental in setting up the computer systems. Then she fielded all of the phone calls, scheduled and dispatched the crews, handled the payroll, accounts payables/receivables, insurance, and took care of the banking. All of this while giving birth to daughter, Kathleen in 1991, raising a family, and putting her support behind Tom, who served as the OTHER 24/7-365’er of their mutual concerns. After the business moved out of their home to its current location in Schaumburg, Jan was able to devote more time to what gave her the greatest pleasure: raising the kids, loving her dogs, spending time with friends and family and, traveling when able to. The Corcoran’s have been lucky enough to count among their travels a safari in Africa, several trips to Hawaii – and just got back from Jamaica where they were joined by their U of Iowa senior, Kathy. You can still see Jan at the office. She fills in for Brenda when needed, and maintains the responsibility of banking, insurance and payroll. Janet is thrilled she will be adding the “grandmother” title to the ones she currently holds. 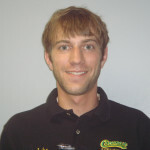 Service Tech - Paul S.
Service Tech - Thomas L.
Tom’s our newest employee – he joined our crew in May of 2013. Although most of his responsibilities are in the service end of the business, with his seventeen years of experience as well as technical training from ETI (Environmental Technical Institute), he is also well qualified to do installation work. Tom grew up on the far northwest side in an area defined by its Catholic parishes. His was St. Tarsissus. When he learned that the Corcoran’s hailed from nearby arch-rival St. Thecla, he couldn’t help but rub in that the St. Tar’s grammar school football team, for which he played, beat them soundly and frequently. He also teased anyone from the northwest suburbs by telling them that despite Buffalo Grove’s squad of sixty, not including the concession stands and marching bands that accompanied them (compared to the “Tar’s” terror squad of sixteen along with their mom’s stashes of cupcakes and coolers of juice) ran THEM off the field, as well. We hired him anyway. Besides football, Tom did the usual grammar school saint as a Boy Scout before he went on to Taft High School. Monica Leveck, his wife, as well as their bird, Butch, currently live on the north side of Chicago in the Portage Park neighborhood. Monica is a secretary for a firm which manufactures X-Ray equipment for veterinarians. When they’re not working, they enjoy eating out, or combining that with catching a movie. Tom’s also very artistic, and a dreamer who enjoys writing fairy tales in his spare time. Tom’s already participated in some ongoing training, and just recently completed two more classes in combustion. He’s talkative and personal – we think you’ll like having him around as much as we do. 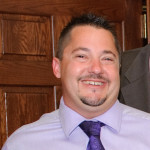 Install Tech - Mike W.
Mike has been a residential and commercial installer with Corcoran Heating and Air Conditioning since September of 2001. Prior to working with us, Mike had seven years’ experience in the industry which followed his education at Harper Community College. Besides installation work, Mike is a skilled service man, and holds National Certifications in that aspect of the HVAC business. As with our other service men and installation personnel, he continues to take advantage of any coursework or seminars , and keeps up with the latest technology and tools our industry offers. A self-described “one man show” Mike is a dedicated family man. He and his wife, Shari, are raising their daughter, Raina (14) and son Gavin (9) in their home in Cary. Because of serious surgeries his wife has undergone, Mike often finds himself in the role of Mr. Mom – taxiing the kids to the myriad of school, athletic, and social activities they are involved in at their ages. Whenever he has the time, he loves to play the drums for pleasure, and refers to himself as “an imaginary rock star”. It only takes a few minutes with Mike to appreciate his sense of humor, good nature, and natural ability to weave a great tale. It’s a rare day in the office that Mike is not the center of attention. We all love his infectious laugh and admire his optimistic outlook. Install Tech - Greg J.
Greg is one of our senior men around here now. He’s been a Corcoran Heating and Air Conditioning installer for over eleven years. Before that, he worked with a competitor for five years in the same capacity. 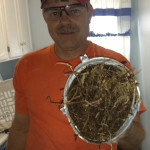 You can feel assured he has plenty of residential HVAC experience. And because we need employees with different sub-specialties and skills, Greg is essential to our big commercial jobs as he is an expert welder. Greg grew up in Lake Zurich. He followed the vocational education route in high school. Just like the rest of us, he’s not done with education in this ever-evolving industry. He has taken courses (anything combustion related, for example) and will continue to do so which will keep him on top of his game. Speaking of which, when not working or on family duty, Greg plays sand volleyball three times a week. He also shares Tom and John’s love of scuba diving. The Jones Family lives in Island Lake, and consists of Greg, his wife Stacey and their three children: daughters Sydnie (age 14) and MacKenzie (11), and son Linkoln (7). Greg epitomizes the old adage “don’t judge a book by its cover”. Although tall, thin, tattooed and imposing, you’ll quickly find out that he’s personable and helpful – really just an oversized teddy bear!